Zulema Munoz of Mission sells a variety of fruit trees at the McAllen Farmers Market. 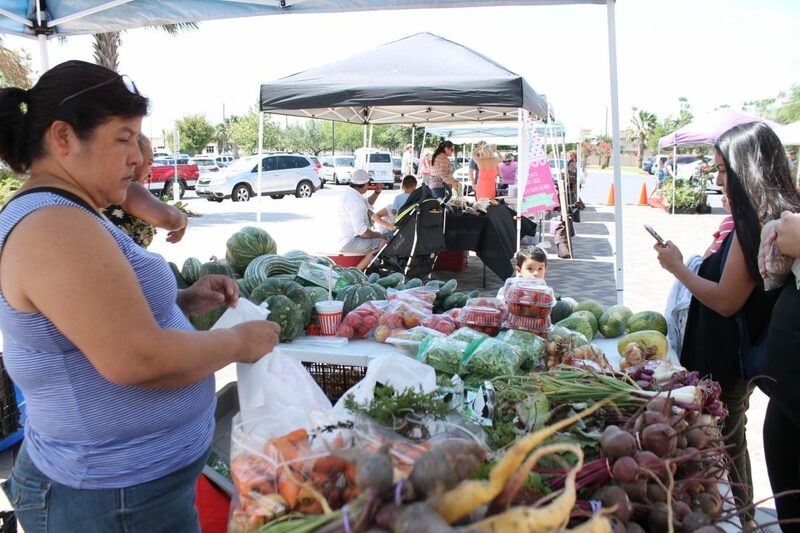 McALLEN — As the seasons change so do the products at the McAllen Farmers Market. On Saturday mornings the market brings local healthy foods to consumers. 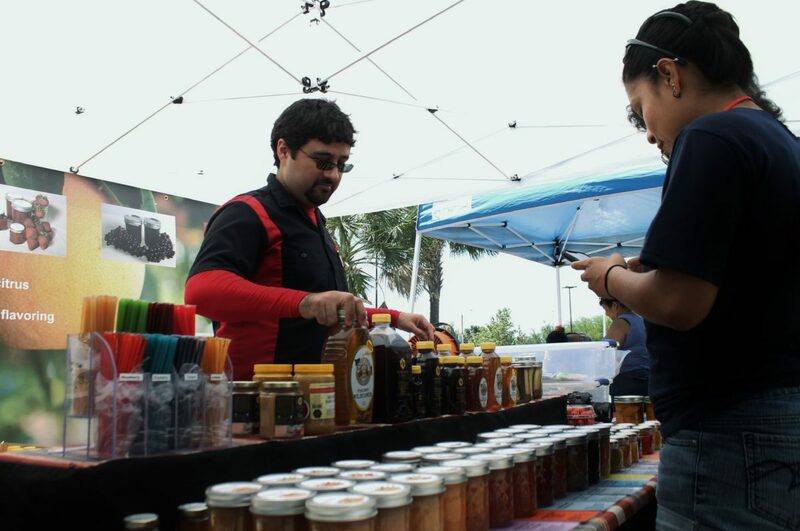 In existence for almost a decade, the farmers market at the McAllen Public Library entrance sells an assortment of fresh fruits and vegetables, local honeys, jams and jellies, live plants and more through local vendors. Zulema Muñoz of Mission has been a vendor for approximately two years and sells a variety of flowers, herbs and fruit trees. Some of the trees that can found are gardenia bushes, oregano herbs and mango and avocado fruit trees. “ The most popular are the fruit trees,” Muñoz said. Jonathan Hogan of Wicked Goods shows customers his homemade products last Saturday at the McAllen Farmers Market. Monica Lara prepares to bag a customer's purchases last Saturday at her booth at the McAllen Farmers Market. Even though summer is a slow season for produce in South Texas, some options are still available. PPC Farms of Mission was still selling Texas 1015 onions and butternut squash, all organic and locally grown. Lois Kim, public relations representative for PPC Farms, said that she prefers to sell in the farmers market to provide to the local consumers rather than having them shipped to other parts of Texas and the nation. “We are a local business, we care about our local customers; I want our products to stay in this area,” Kim said. “What is good for us is from this soil, in season. In the supermarket, everything is available. Well everything you find here (the farmers market) is in season and is what is good for you,” Kim added about keeping fruits and vegetables local. The farmers market is also a source for local vegan and gluten-free products. The Wicked Good booth has been in business for almost four-and-a-half years and run by owner Jonathan Hogan. The products sold are jams and jellies made from fruits grown here in the Valley. The booth offers flavors such as orange marmalade, tangerine, grapefruit and strawberry, among others. “They are all reduced sugar and they are diabetic-friendly,” Hogan said. “He puts more fruit in and takes out the sugar, you have the sweetness, but it comes from the fruit itself,” added Francis Hogan. “Most of the fruit are grown locally. There’s no artificial preservatives; the color, the flavor all come from the fruit itself,” she added. He also makes artisan breads by using kale and marmalade as a sweetener. The breads are also gluten-free. Angie’s Apothecary was started by college student Angie Garcia and has been part of the market for less than a year, selling organic eggs and baked goods. “I wanted to promote this in the Valley and for people to realize that there is healthier options,” Garcia said about changing the way we consume meals. As a substitute for lard, she uses coconut oil, palm oil, olive oil and avocado oil to make her breads, brownies and cupcakes. The McAllen Farmers Market was founded to promote regional agriculture by providing small family farms the opportunity to sell their locally grown products directly to consumers, and to ensure that the McAllen community has access to the freshest, most nutritious locally grown food the region has to offer, according to their Facebook page. 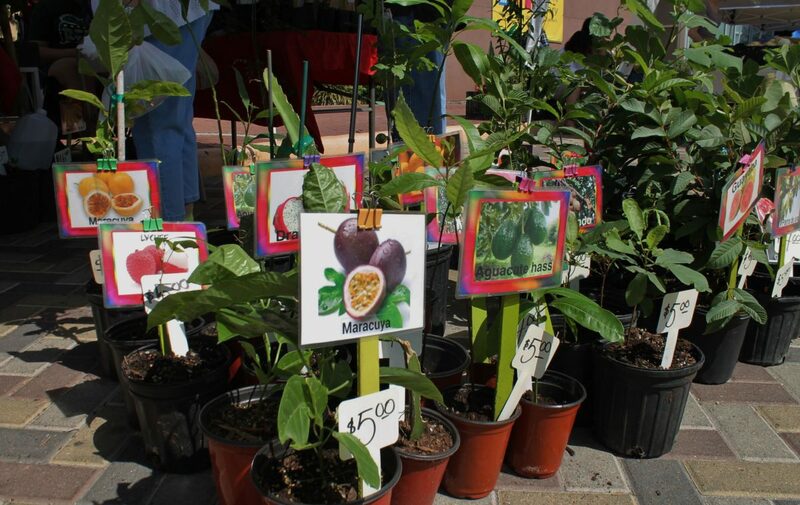 To visit the McAllen Farmers Market head on over Saturday morning to the McAllen Public Library, 4001 N. 23rd St.